Carolyn Nyman, my mother’s best friend growing up, was my high school English teacher. I was named after her. Aside from the family connection (and the fact that she didn’t rat me out when she caught me reading novels in class) Carolyn gave me my first Eudora Welty book. She changed my life. A good teacher—at just the right time—can impact a student in profound ways. 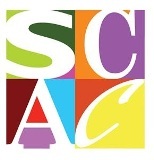 For the past eight years, I’ve taught fiction writing at the University of South Alabama. One student, Jeannie Holmes, skyrocketed to success with two published novels—so far. Many other students have published short fiction in prestigious journals. I have at least a dozen more students I expect to publish. It isn’t the lack of talent holding them back now, it’s youth. Writing is one profession where the seasoning of a few decades makes a difference. With age comes perspective, if not wisdom. I tell my students I can teach them the elements of writing: building compelling characters, scene by scene development, telling detail, narrative summary, immediate scene, point of view, plot, and structure. These are not easy to learn, but they are skills and with practice can be improved. There are ways to describe a room (or person) that make the room (or person) more interesting. Writers with talent take description and imbue it with elements of theme or the weight of social consciousness. Talented writers make us feel. In every sentence. It is emotion that fiction readers desire. Those who want facts read non-fiction. Fiction readers want to experience the world of the characters emotionally as well as intellectually. This is what I urge my students to strive for—that balance of emotion and intellect that the greatest and best writers achieve. The writer must feel passionately about his/her characters and the events that occur within the pages of the story. His characters must be creatures of passion, in that they care and feel. Whether it is a quest for justice or saving a child from disaster—if the characters don’t care, the reader certainly won’t. In my classroom, we learn by reading. This is where it all starts. If you are a writer, you were a reader first. We read all genres, good and bad books (you can learn as much from a poorly written book as a good one sometimes), and we deconstruct to try to understand why certain passages evoke emotion in us. There are two things no teacher can give a student, though. I cannot give a student a voice or a story. Those are gifts. Like composers or painters, the writer must have a vision original to him/her. A writer must hear, taste, see, feel, and smell the imaginary world that compels him to write about it—sometimes over several years. You must truly care about a character or a story to commit months and months of your life to putting it on the page. If a student brings a voice and story into my classroom, I am overjoyed. This is the best that any writing teacher can hope to work with. 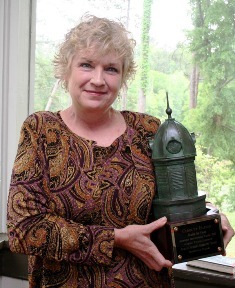 Carolyn Haines is the recipient of the 2010 Harper Lee Award for Alabama’s Distinguished Writer of the Year.